Use this activity as a fun Word Work Activity leading up to Halloween! 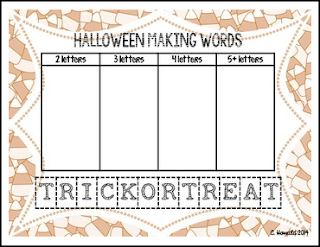 Have students try to make as many words as they can using the letters in "Trick or Treat" and "Halloween"! Please leave feedback and be sure to check out my store!